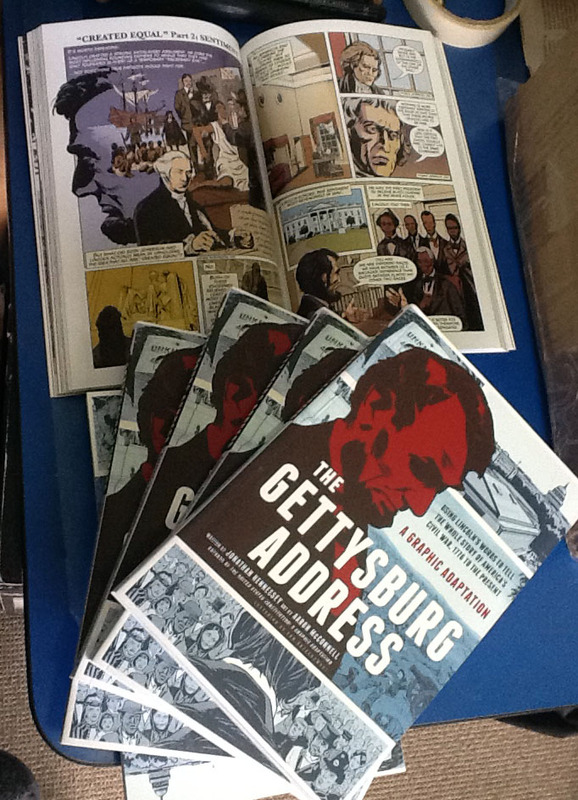 I received my author comps in the mail this morning on this official release day of The Gettysburg Address: A Graphic Adaptation. I’m very happy with the print quality and it’s satisfying to have it in hand after putting years of work into the project. I hope you get a chance to read it soon and I’d be interested to hear your impressions. Thoughtful reviews on amazon.com are also much appreciated. Speaking of reviews, there are already two starred reviews from Kirkus and Publisher’s Weekly. 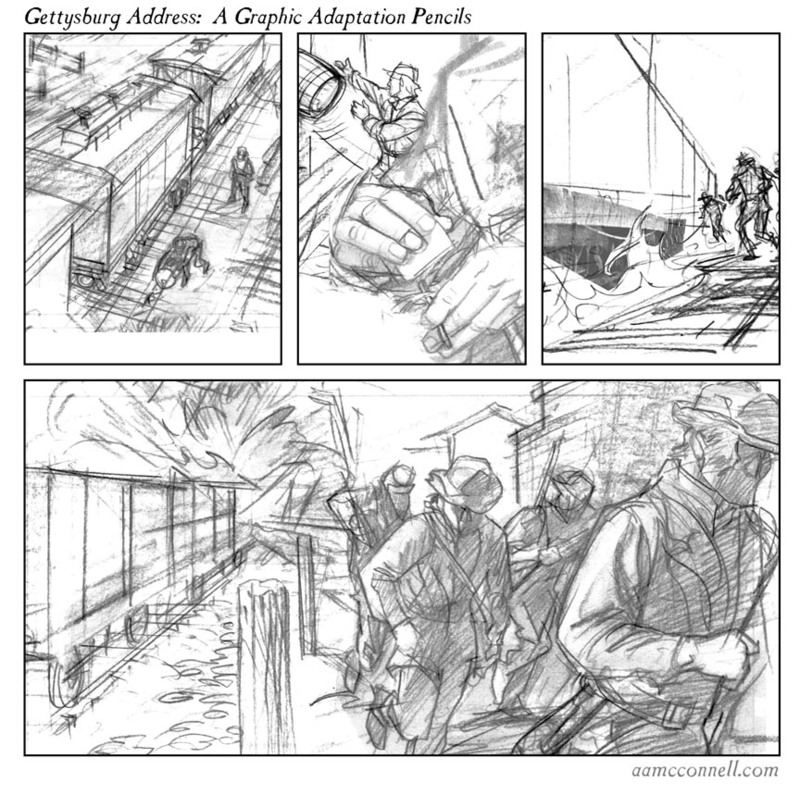 Go to graphicgettysburg.com to read the reviews, if you like. Thank you for your interest! 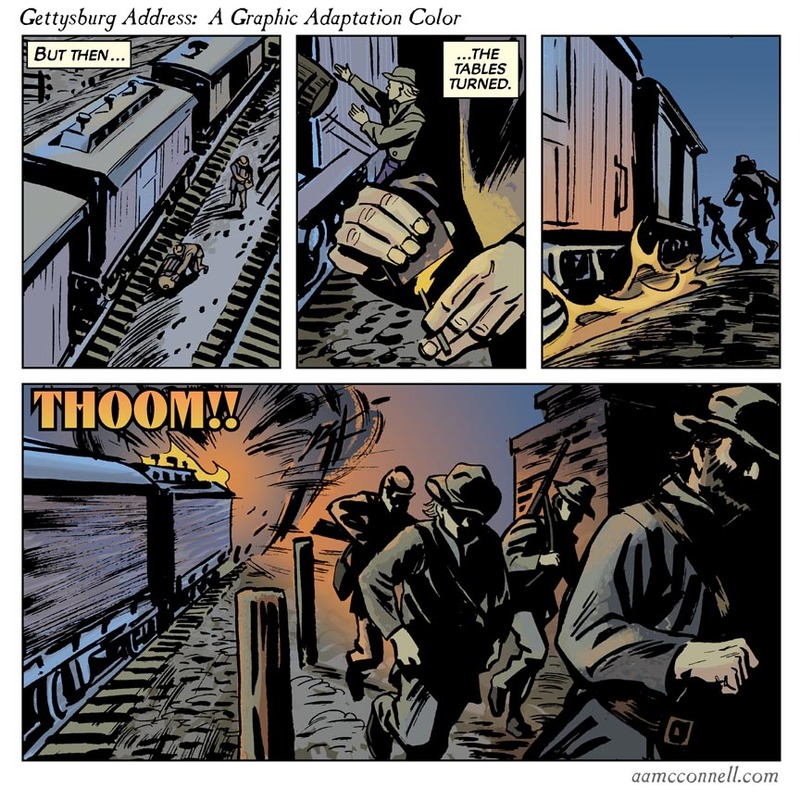 Now that I’ve revealed all my secrets, please go to graphicgettysburg.com to learn about the graphic novel with videos, visual annotations, essays, recommended reading and more! 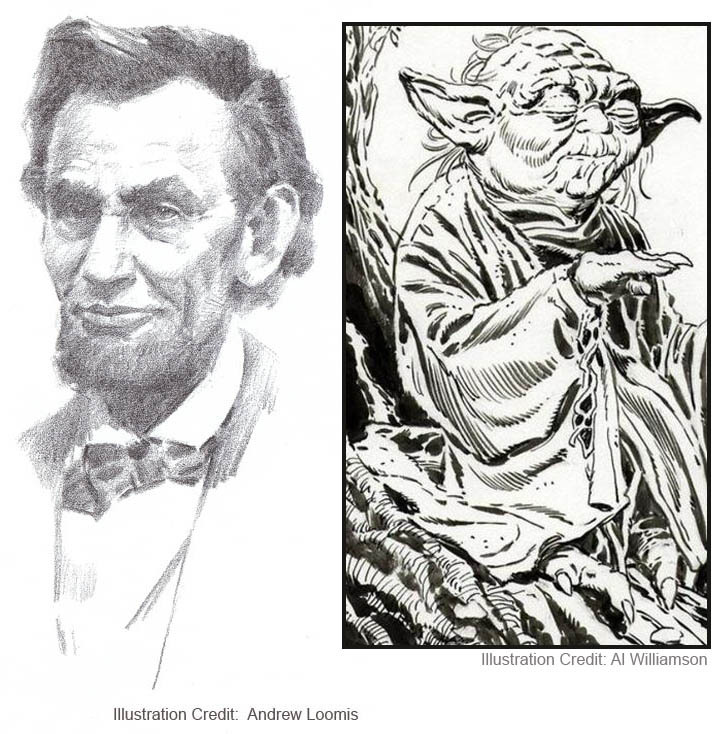 It’s true, Lincoln isn’t as old as Yoda, yet. 204 years seems downright youthful in contrast to Yoda’s 800+. 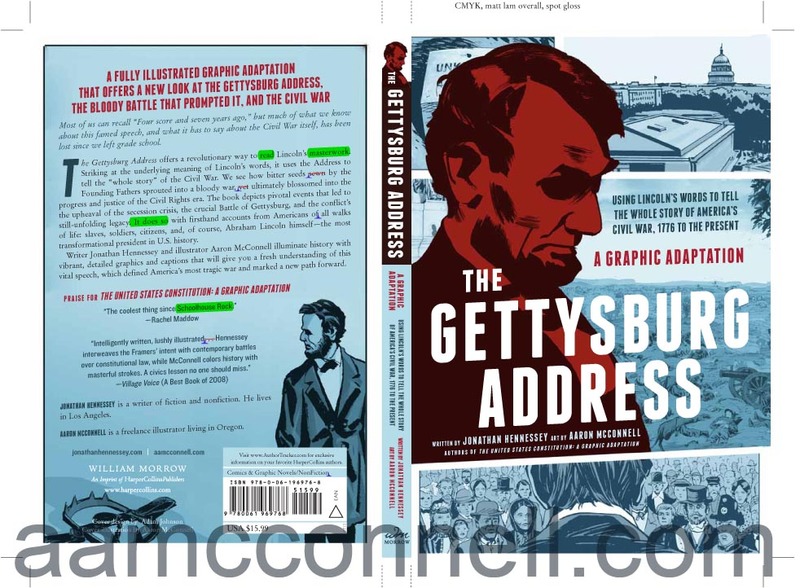 I imagine Lincoln received a book or two as birthday presents, so I thought it might be appropriate to present this mock-up of our book cover. 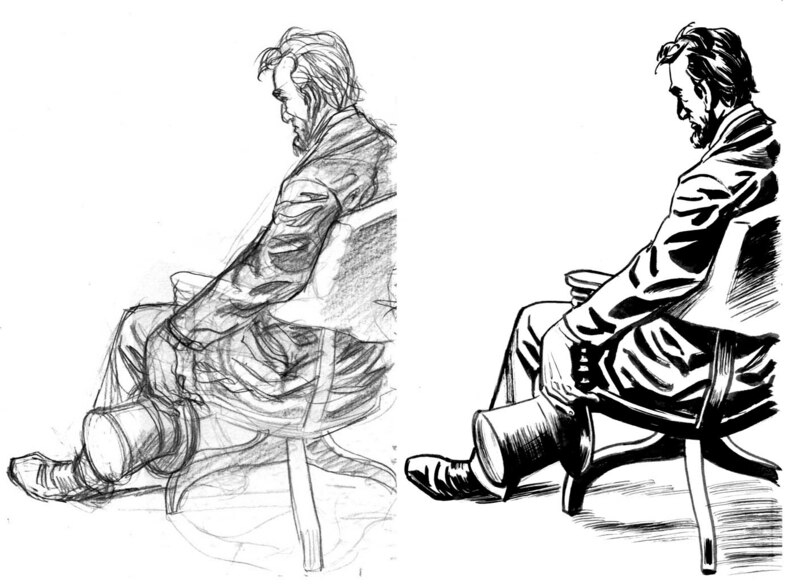 The illustrations are taken from the interior except for the central portrait that I based on a photo of Lincoln reading to Tad that has been reproduced frequently. 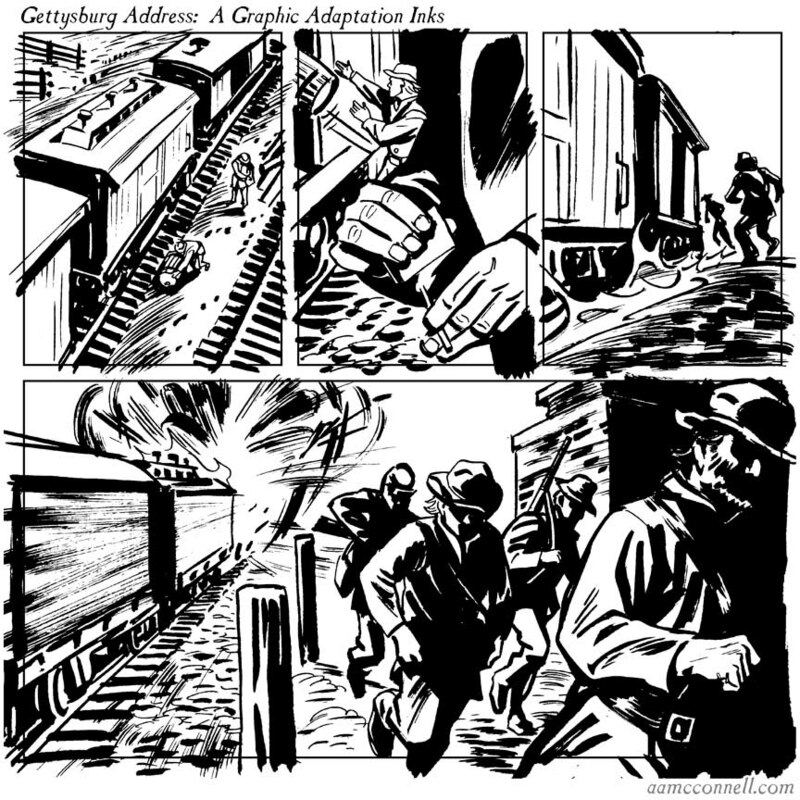 The cover was designed by Adam Johnson. Thank you, Adam! 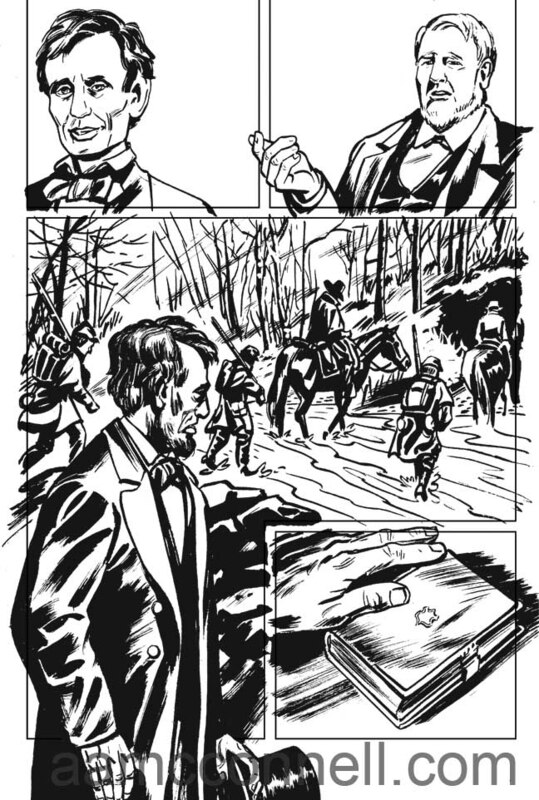 And here’s an extra bonus: The BW lineart of an interior page that features Lincoln and a cameo of his bible, perhaps his most famous possession…after the hat. It’s the “Stack of Pages” post! If you follow blogs by comic artists you’re probably familiar with this trope. 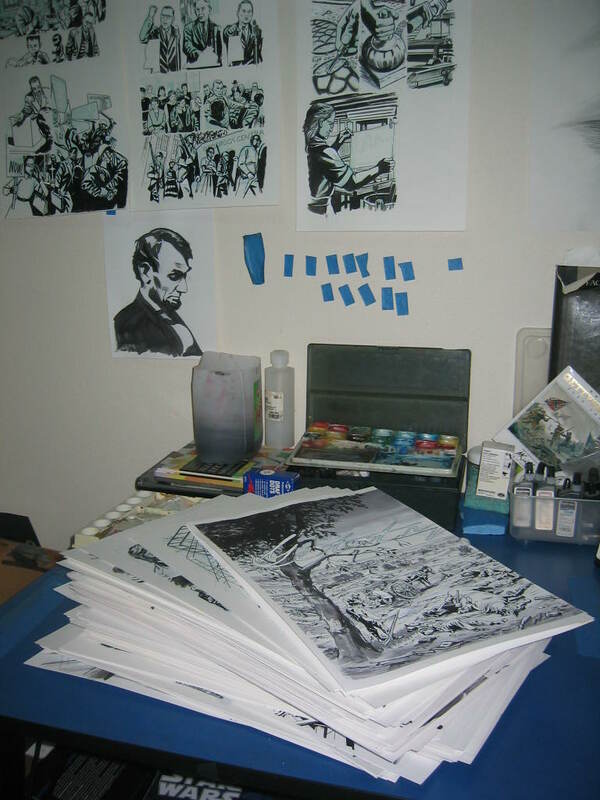 Something a bit irksome about these IMO, probably the fact that maybe that’s just a stack of blank pages under the top one, but let me offer my assurance that I’ve finished drawing all 221 pages of The Gettysburg Address: A Graphic Adaptation . I’m working on revisions and some color improvements, but the book is still on schedule for the June 2013 release. 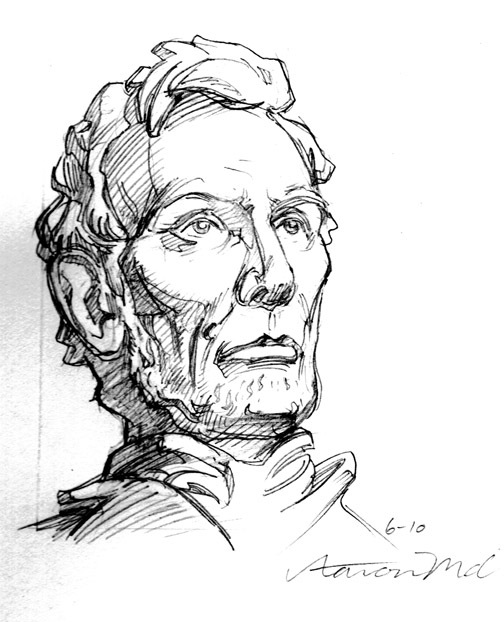 Attempts to capture the iconic quality of the Lincoln Memorial statue while preserving the appearance of stone. (Not the final attempts.) 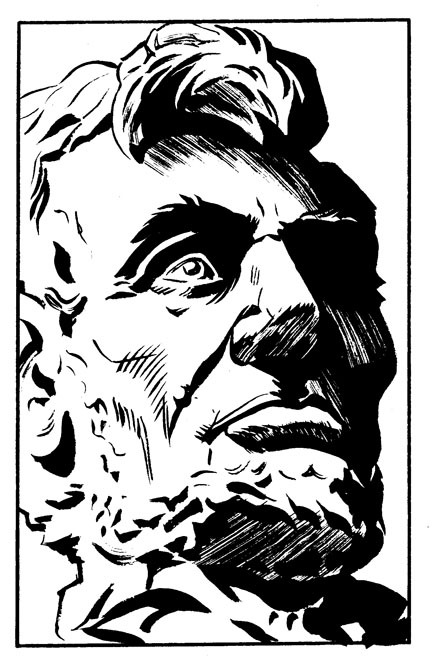 Fun fact!… Statue’s head: Height—3 feet 7 inches; Width—2 feet 7 inches.